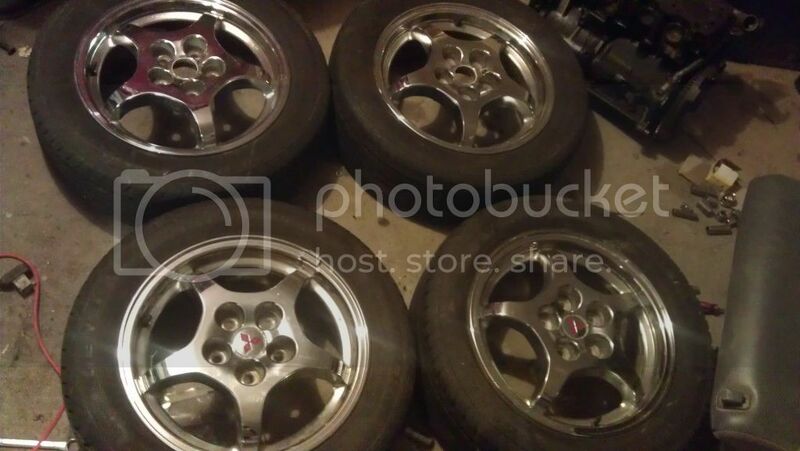 Up for sale is the stock set of wheels off my 2gb Eclipse Spyder GST. 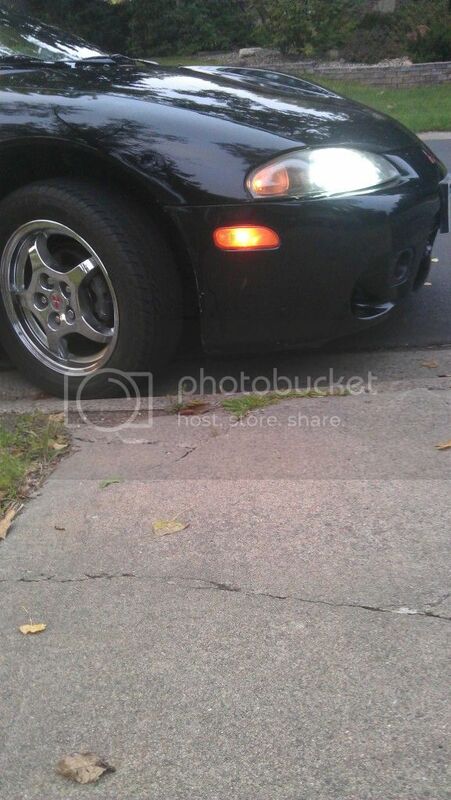 They have 68k original miles on them and are in excellent condition for 14 year old wheels. They have no curb rash and the chrome looks great. They have all season tires on them with 50-60% tread left. As you can see in the picture, two of them are missing center caps. The wheels are all straight and ready to go! I'm looking for $350.